Our holiday home boasts a large living area, a fully fitted modern kitchen, the master bedroom has the comfort of a memory foam mattress and an ensuite, there are also a further two twin bedrooms.This luxurious home on West Sands offers special extra’s like Free onboard Wi-Fi access and SkyQ TV, usb charging outlets, two large screen tv’s, its also fully equipped with all you will need for a relaxing home from home holiday break. 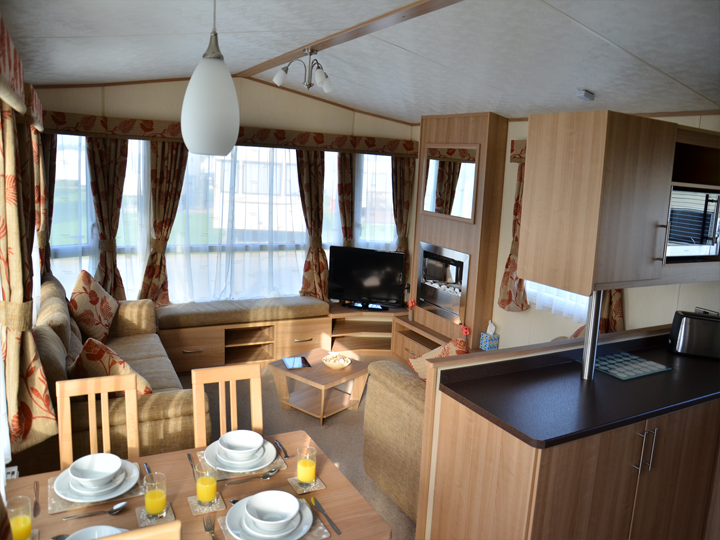 Full central heating and double glazing means this caravan is perfect for all year round. Our holiday home comes fully doubled glazed and central heating throughout to keep you toasty in even the colder months. 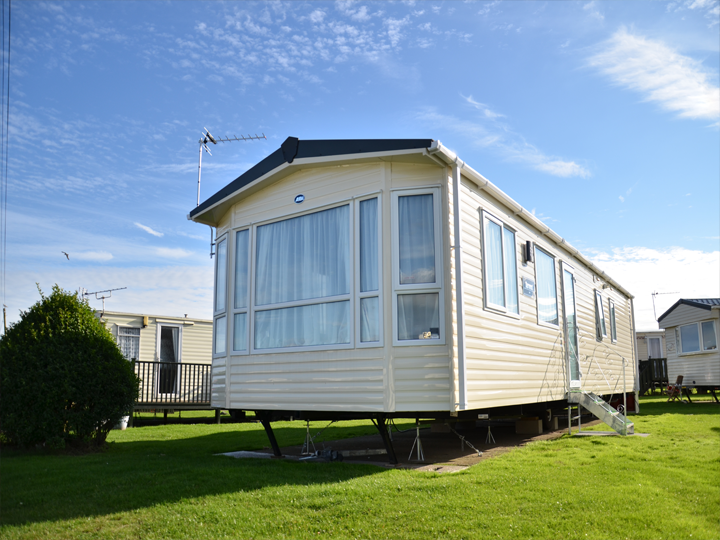 Ample parking available next to our holiday home with only a few step’s to the front door. We offer all our guests free gas and electric with all bookings. Allowing comfortable holidays all year round. Fresh bed linen service included in your booking for all guests. Our beds are pre-made before arrival so that’s one less thing to think about. We offer free wifi internet access for you to share your holiday snaps on the go with family and friends. Get your entertainment passes to enable you access to the leisure complex and evening entertainment complex via our booking page or buy from reception on your arrival. Our holiday home boasts a large screen tv in the master bedroom and the lounge area, great if you want to watch tv in another room. Seen enough? Book your stay with us now. Take a look over the park from our drone flying overhead. Select your arrival and departing dates, enter your info and we’ll do the rest!